Keg beer is nothing short of a blessing: it's fresh, it seems like it's damn near unlimited, and if you control the tap you get to make a lot of "head" jokes with the girls, which always gets you just that. Always. 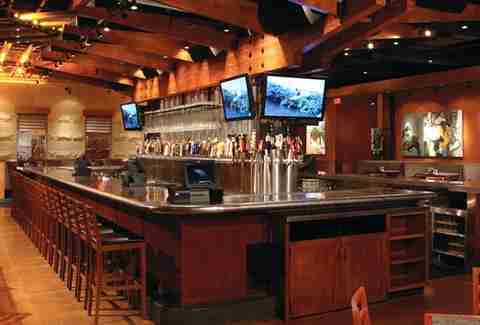 For a place bringing a lot more kegs to tap-lacking South Florida, get to Yard House Gulfsteam Park. House is a blessedly beer-intensive eatery plating classic American grub with an Asian influence in an expansive space with 23 HDTVs and a glass-enclosed keg room pumping 130 brews (over 3,000 gallons) through five miles of cooled tubing; the name comes from the 3-ft glasses of beer the English used to give the drivers of horse-drawn carriages, which are completely unrecognizable, as the horses had to hold the pencil in their mouth. They're filling 1/2 yards, goblets, and pints with global selections including complex Belgian Strong Ales (Chimay Triple, Delirium Tremens, St. Bernardus Abt 12), brown ales (AleSmith Nautical Nut Brown, Big Sky Moose Drool), and Belgian-style Blondes like North Coast PranQster, which gives away its blondeness with its poor spelling skills. 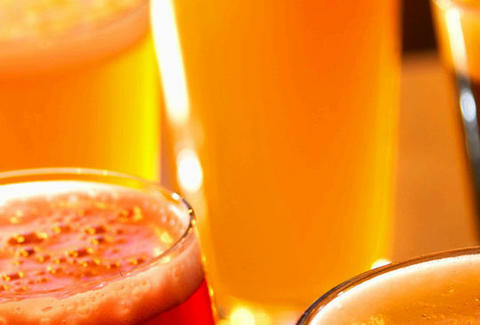 Extend your drinking with burgers like 1/2lb Angus Surf & Turf (w/ Swiss, asparagus, and lobster sauteed in garlic butter), and platters like Crab-Crusted Swordfish over wasabi mashed potatoes, and a pasta w/ chicken breast, applewood smoked bacon, cheddar, Parm, and white truffled macaroni called the (Mac + Cheese)2 -- also what happens when you use your Apple computer to download more than one Billy Ray Cyrus song. There're also smaller plates like Grilled Korean BBQ Beef (boneless short ribs marinated in garlic, soy, and brown sugar) and a dish of fresh marinated raw ahi layered w/ crispy wontons, avocado, and wasabi soy called the Hawaiian Poke Stack -- also what you basically guaranteed yourself when upping your game by controlling the tap and wearing your totally money floral shirt.